"A compelling personal mosaic: Chicago documentarian Dinesh Das Sabu turns his camera on his family's secrets, twenty years after he was orphaned at the age of six." "Sabu harnesses his intense family story, as being one of five orphaned siblings in a family torn apart by mental illness, into an intimate, emotionally intricate narrative. 20 years after his parents have passed, he starts filming and interviewing their friends and family, trying to understand a story he only knew in pieces. His journey is a fascinating look into how we are caught between influences of our past and present, especially within the life-changing bond of family." Sabu harnesses his intense family story, as being one of five orphaned siblings in a family torn apart by mental illness, into an intimate, emotionally intricate narrative. 20 years after his parents have passed, he starts filming and interviewing their friends and family, trying to understand a story he only knew in pieces. His journey is a fascinating look into how we are caught between influences of our past and present, especially within the life-changing bond of family. 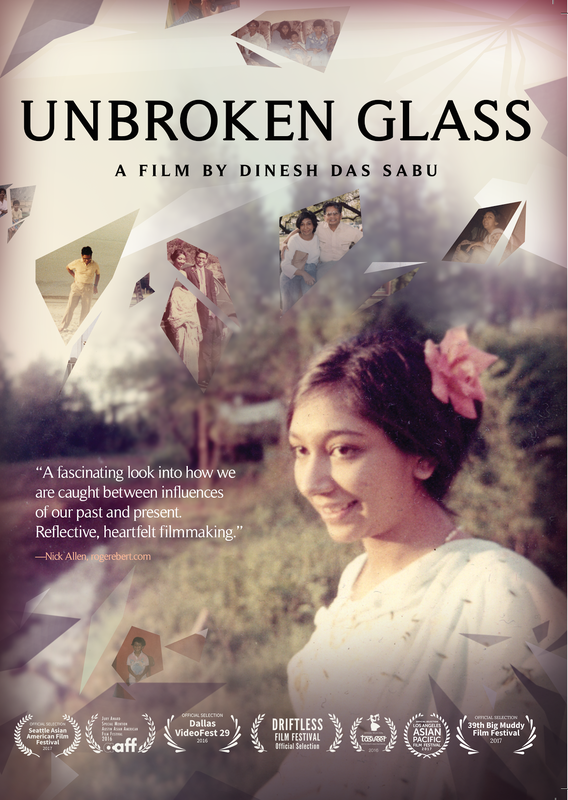 "Unbroken Glass transcends the experiences of one family's journey of coping with mental illness into a Universal message of healing and hope. Dinesh Das Sabu courageously weaves together memories of his parents to tell a beautiful, touching story of family bonds and love." "In Unbroken Glass, tragically broken bonds result in a beautiful family mosaic of courage, strength, resilience and hope. You will be changed by experiencing it."